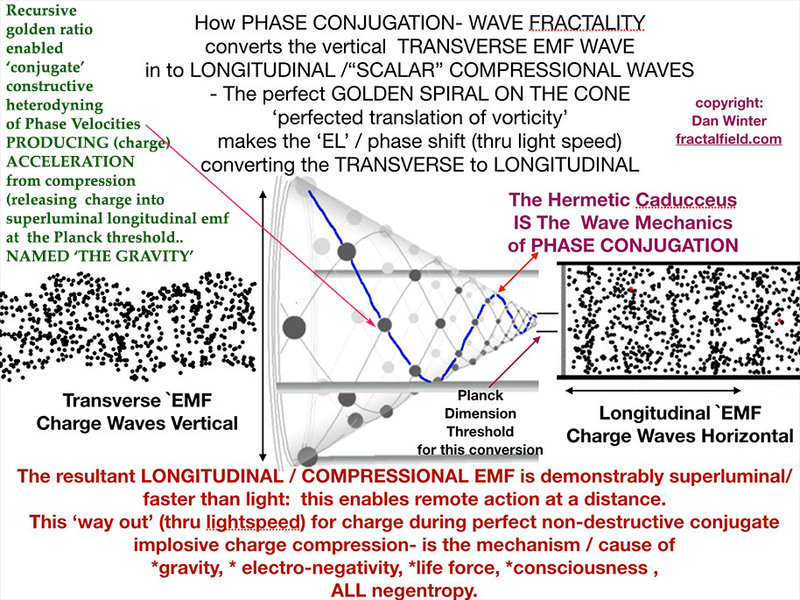 WHY only longitudinal waves create alchemic charge implosion / healing. 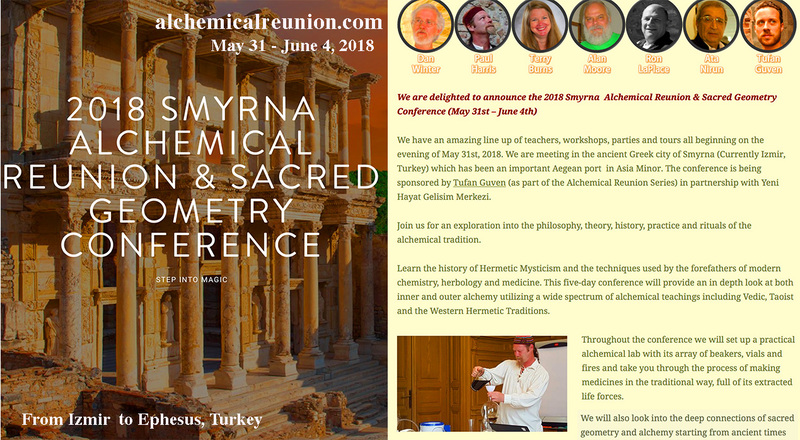 Mechanism of Lucid Dreaming / Remote Viewing / Collective Unconscious - Communion of Saints / Ancestral Memory.. Solution to Implosive / Non-destruct / Naturally CENTRIPETAL COMPRESSION- IS the Solution to Gravity, Mind , Life-Force , Color. These waves can implode - and acheive remote plasma containment ( the nature of MIND , and the holy grail of all plasma physics). wasted your money - by not understanding the very phase conjugate / longitudinal component of FUSION (all centripetal forces- based on implosive compression). How you convert between LONGITUDINAL WAVES (shown here) vs TRANSVERSE WAVES (shown above)..
see PINE CONES KISS NOSES (phase conjugation animation top). which when they cross at a distance- re emerge as TRANSVERSE and MAKE HEAT. - This is the way mind exists - and is the solution to plasma containment - which all governments desperately need. We don't often consider that human intervention can play a role in stabilizing gravity. However- when the conversation is extended to those who have discovered why objects fall to the ground (the cause of gravity)- then there are quite specific thing which can be done to stabilize gravity. Gravity is a centripetal force- and the central thesis of our IMPLOSIONGROUP.COM technology group - is precisely RESTORED CENTRIPETAL FORCES. 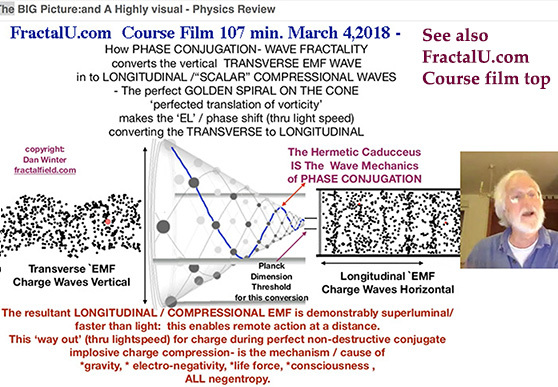 Our phase conjugate theory of gravity below- is a variation on the theme- of what many physicists have come to agree- that fractality is in fact the cause of gravity. Even Einstein was clear- infinite non-destructive compression (of charge) is precisely how gravity is created. 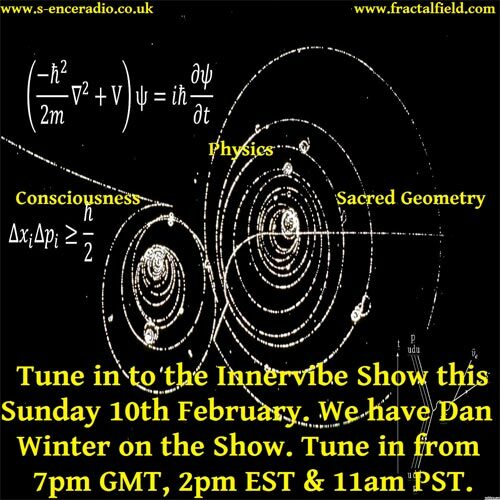 Of course Einstein never had the privelege of knowing that fractality is infinite compressibility- and now - we know what a fractal field is ( phase conjugation). In short- by arranging strong paramagnetic dolmen at conjugate / fractal - nodal positions (grid cross points) on the Earth- gravity can be stabilized. What happens is that electrical charge implosion is invited where golden ratio / pent paramagnetics are aligned with the Earth grid. The reason this is called 'planet taming' is fascination - and deep. Basically- the ancient Annunaki knew that planets with too much gravity- could not support life, but too little gravity- cannot hold atmosphere. To dance that tightrope- gravity was modulated with dolmen (like our pyramids - at tetrahedral latitudes) which modulated the planet spin rate to better EMBED zodiacal spin. 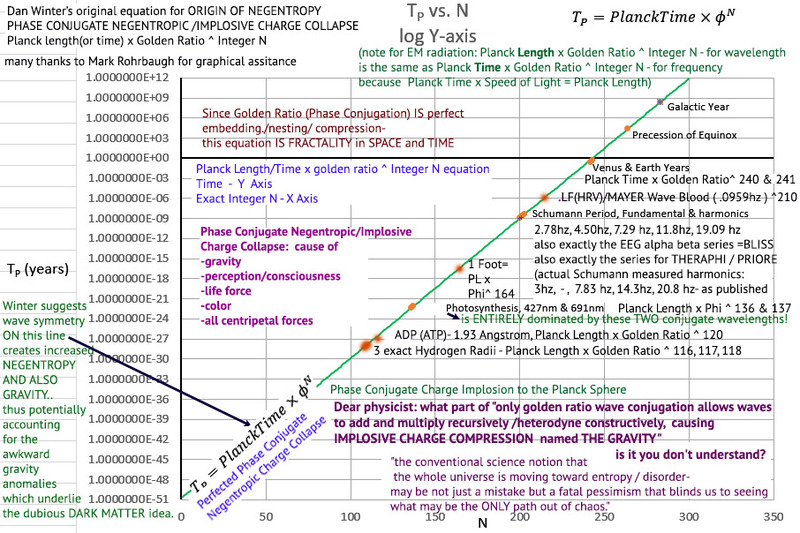 particularly note how Earth orbit time, Venus, and Precession, and Galactic Year are all almost EXACT INTEGER GOLDEN RATIO (PHASE CONJUGATE) EXPONENTS of PLANCK TIME/LENGTH. This phase conjugate EMBEDABILITY is how gravity is stabilized. In summary- pure phase conjugate charge collapse (THE GRAVITY) is created when rotations are INTEGER GOLDEN RATIO PHASE CONJUGATE MULTIPLE OF PLANCK LENGTH AND TIME. 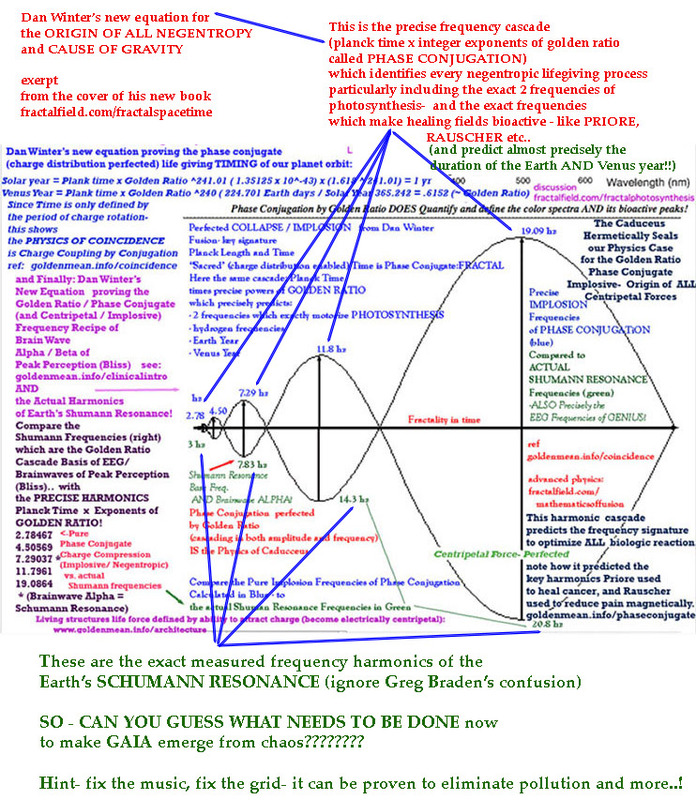 Another way in which gravity is stabilized - see how restored pent/dodeca Earth magnetic lines- creates electricall measureable peace-making : www.goldenmean.info/peaceuniversity ( from Prof. Callahan's work). - hodowanec and ramsey replace weber's and LIGO multi billion dollar gravity sensor with a 25 cent capacitor (russtrak recorder). 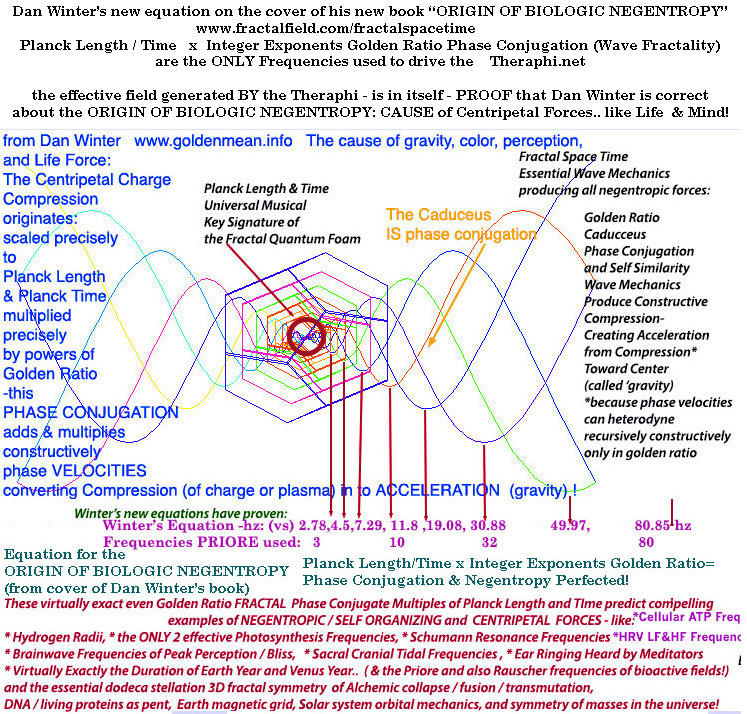 These conjugate longitudinals- are the mechanism of gravity and biologic radio. Finally - the REAL science to properly respond to your lover when (he/she) demands: "Come on Baby: Light My Fire!" 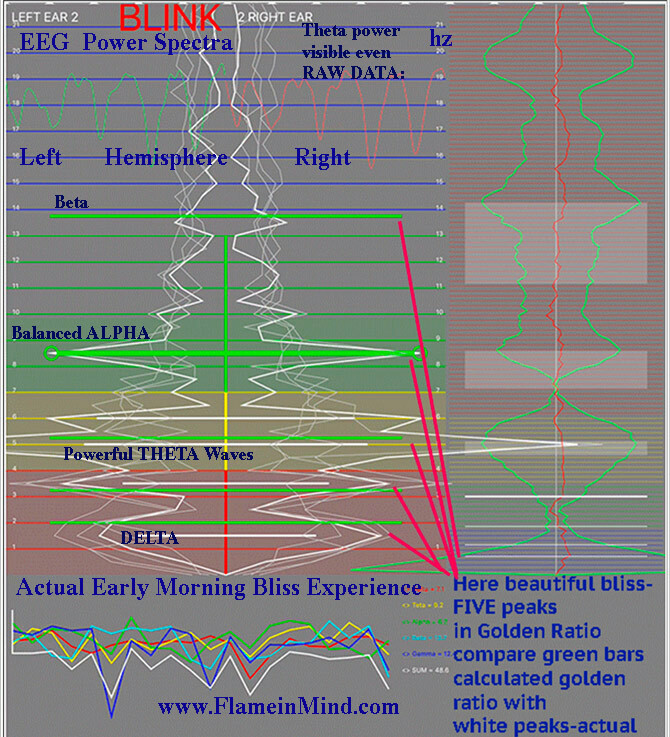 to teach and correlate to peak perception / bliss / ecstasy. 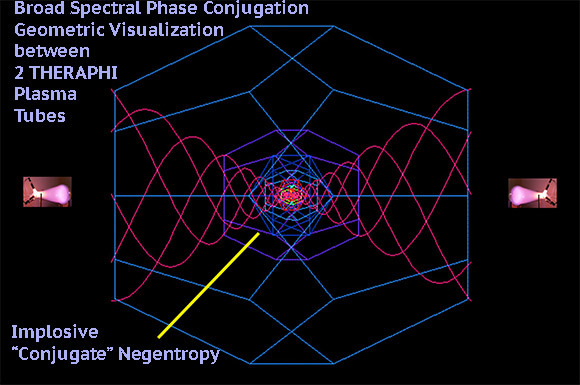 I used that as new evidence for my hypothesis that PERCEPTION is caused by phase conjugation optimized by Golden Ratio. When the well documented Ingo Swann heated a thermistor at a distance..
it is clearly reported there was a shield and a ground placed between his brain and the heated thermistor ('flame' he made with his mind). 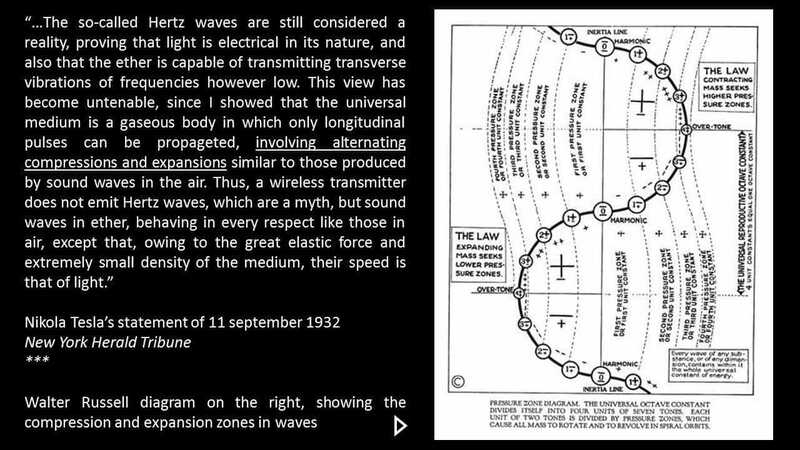 The ONLY kind of electromagnetic wave which could penetrate from his mind to the heat he created at a distance- is a LONGITUDINAL WAVE. 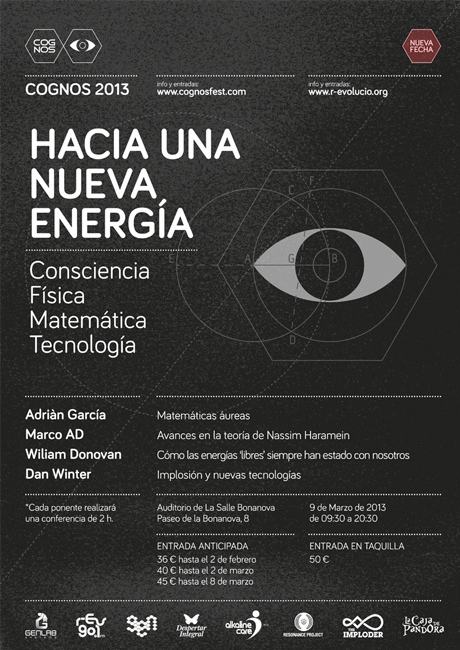 -So this gives us an opportunity to understand controlled plasma heating at a distance. (Listen up you governments who wasted enough money to feed Africa for decades on TOKAMAK).. 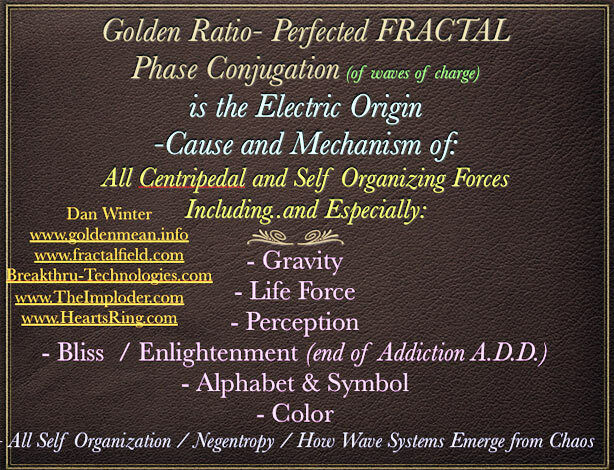 When psychotronic / alternative energy people refer to SCALAR waves- they generally mean LONGITUDINAL waves. 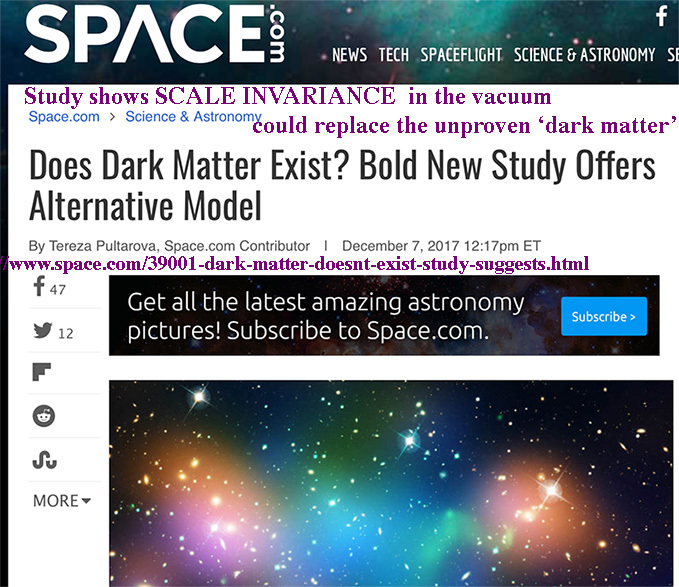 (The use of the term scalar in physics is altogether different). "2 pine cones kissing noses' of PHASE CONJUGATION (next animation down). the 2 brain hemispheres altho clearly phase locked- MUST BE PHASE LOCKED 180 DEGREES OUT OF PHASE! 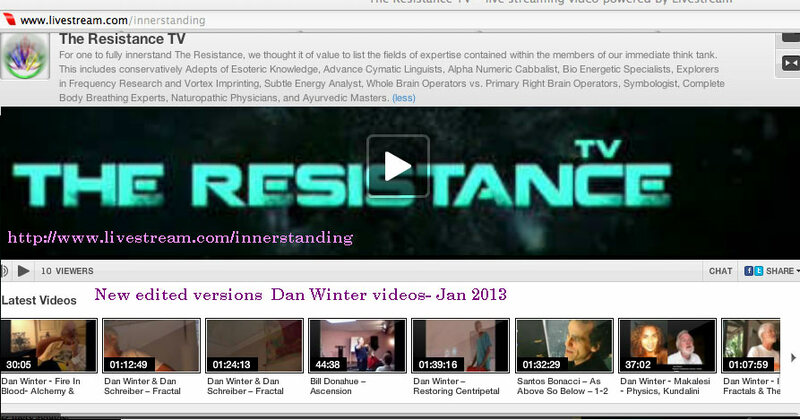 during peak brain power- then our LONGITUDINAL WAVE THEORY OF CONSCIOUSNESS- is proven! definite credit here to the source: Morphing Platonic Solids (Sacred Geometry by ieoie) - http://www.youtube.com/watch?feature=player_embedded&v=5NJ-iqC6DMc#! 1. Primarily carbon NANO-TUBES (aka FULLERENES / Dodeca/icos symmetry) are active in the FUSION. 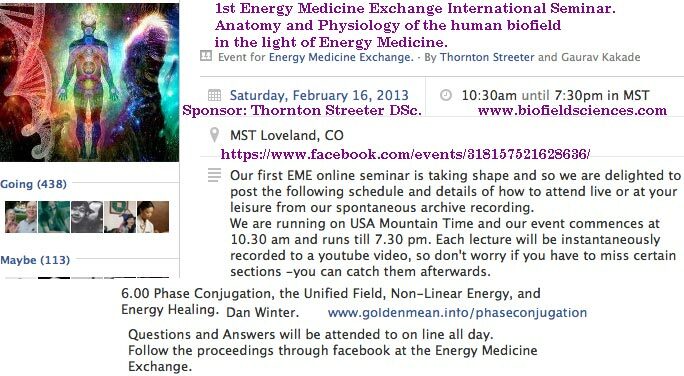 2. the reaction (perfected collapse) - plasma field is PROFOUNDLY BIOACTIVE- heals people nearby - heals infection etc. 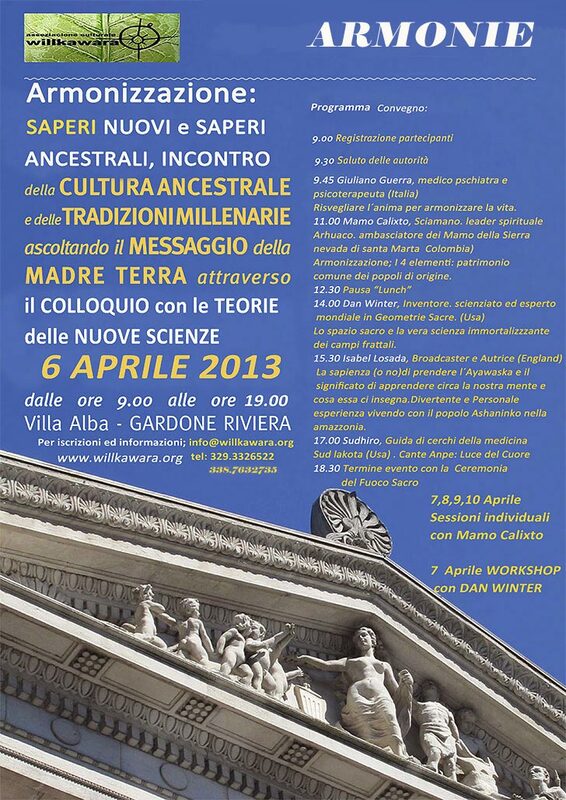 produce self organizing , bioactive fields. These plasma fields- of fusion- will REDUCE RADIOACTIVITY / FISSION nearby and increase the local binding energy (presence of Mind / God / the Divine). (Like the workers whose bones stop falling apart - binding energy loss- only when they move away from the nuclear plant they work at).